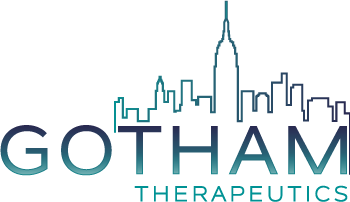 Gotham Therapeutics was launched in 2018 financed by an international consortium of leading venture capitals and industry partners. Dr. Lee Babiss’ brings over 35 years of experience establishing and leading research and development programs and companies. Prior to joining Gotham, Dr. Babiss held key positions at X-Chem, X-Rx, PPD, Roche and Glaxo. Dr. Babiss received his doctorate in Microbiology from Columbia University and completed his postdoctoral fellowship at the Rockefeller University, where he served as an assistant and associate professor. Dr. Babiss has received numerous fellowship awards and grants and serves on several scientific advisory committees and boards. Dr. Babiss has published over 60 peer-reviewed scientific papers. Carlo Rizzuto, Ph.D., is a Partner with Versant Ventures based in New York City. Since joining the firm as a Principal in 2012, he has been involved in launching and investing in a number of Versant’s portfolio companies including Quentis, VenatoRx, Repare, Pandion, Jnana and Gotham. Carlo has been instrumental in establishing Versant’s presence in the Northeast, and also serves as CEO of Highline Therapeutics, Versant's New York City-based Discovery Engine. Prior to opening the NYC office, Carlo led negotiations to establish a strategic partnership with Astellas that led to the creation of the Anokion spinoff, Kanyos. Carlo joined Versant from Novartis where he led global product development teams. Prior to his role at Novartis, he held the position of Associate Principal with McKinsey & Company, advising U.S. and European clients in the pharmaceutical, payor and provider sectors. Carlo holds a Ph.D. in virology from Harvard University. Holger is General Partner and heads the Munich Office of Forbion has a key role in the investment team, with investment experience both in biopharma as medical devices. Holger currently holds board seats at Allecra and catalYm. He is also member of the investment committee of the Hightech-Gründer Fonds, Germany’s biggest early-stage and seed investor. Holger has served on the Boards of numerous life sciences companies including Epigenomics (IPO 2004), MBT (assets sold to Medigene), 4SC (IPO 2005), NeurogesX (IPO 2007), Cellnovo (IPO 2015), Curetis (IPO 2015), Fibrex Medical (assets licensed to Ikaria), Agendia, Santaris (sold to Roche) and Rigontec (sold to MSD). Holger joined Forbion in 2010, setting up its Munich office. Prior to joining Forbion, Holger was Partner at Global Life Science Ventures (a life sciences-focused partnership with offices in Switzerland and Germany) and Director at Germany's healthcare practice of 3i and Investment Manager at Technologieholding VC, at the time one of the leading German Venture Capital firms, respectively. Prior to his VC activities, Holger gained operational experience as a product development manager at Biometra/Whatman Plc, now part of GE Healthcare. Jill joined SR One in 2011 with a background in biotech partnering and commercial development. Prior to SR One, Jill was responsible for Corporate Development at Dynavax Technologies, where she was involved in multiple pharma partnering deals as well as substantial private and public financings. Previously, Jill was a consultant specializing in health care at Clearview Projects and Mercer Management Consulting. Jill received her BS in Chemistry from Duke University, and her MS in Biochemistry, Cellular and Molecular Biology from Johns Hopkins University. Jill is a member of the Board of Directors of Arcellx Therapeutics, Gotham Therapeutics, Nkarta Inc and Second Genome and is involved with SR One's investments in eFFECTOR, Progyny, Principia and TP Therapeutics. A medical doctor by training, Dr. Carlo Incerti brings over three decades of experience in the biopharmaceutical industry. He most recently held the position of Senior Vice President, Chief Medical Officer and Head of Global Medical Affairs at Sanofi Genzyme and joined Forbion as an Operating Partner in January 2019. Prior to his time at Sanofi and Genzyme, Dr. Incerti was a founding shareholder, Board member and Chief Executive officer at Biofil S.r.l., a start-up active in the development, manufacturing and commercialization of systems for leukocyte depletion of blood and derivatives, which was acquired by Fresenius Kabi of Germany in 1993. Jorge DiMartino M.D., Ph.D. is Vice President, Translational Development Oncology at Celgene in San Francisco. He joined Celgene in 2011 as a clinical lead for early stage oncology clinical programs. In 2013, he assumed an additional leadership role directing the Translational Research Laboratories at the Celgene’s San Francisco site and in 2015, Jorge was chosen to lead the establishment of the Epigenetics Thematic Center of Excellence, a fully integrated unit driving Drug Discovery through Clinical Proof of Concept efforts around epigenetic targets in cancer and inflammation. He has also played a key role in a number of external collaborations with partner companies including Oncomed, Epizyme, Agios, Forma and the Leukemia Lymphoma Society. Prior to joining Celgene, Jorge was a Group Medical Director at Genentech in the Oncology Exploratory Clinical Development group. At Genentech, he led the early clinical development of the Hedgehog Pathway inhibitor, vismodegib, and managed a group of Medical Directors working on a diverse array of targeted small molecules as well as naked and armed antibodies from pre-IND through Phase II. Jorge received his Ph.D. in Immunology from Cornell University Graduate School of Medical Sciences, and his M.D. from University of California San Diego. He completed a residency in Pediatrics and a fellowship in Pediatric Hematology/Oncology, both at Stanford University School of Medicine where he continues to see patients in pediatric oncology as a member of the Adjunct Clinical Faculty.